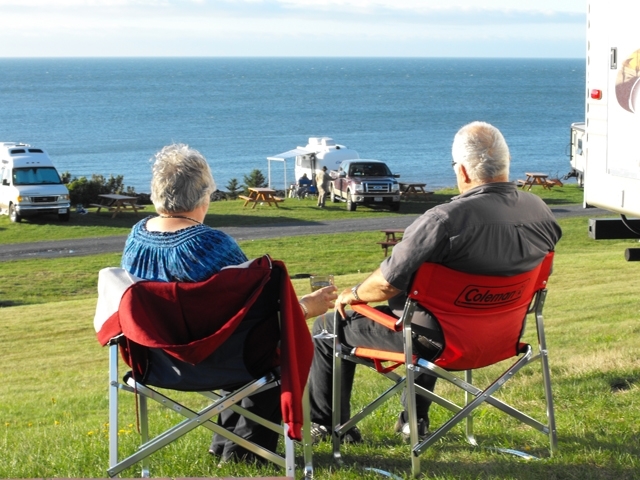 The front row of the Upper Terrace contains standard size Water View full-service sites with an unobstructed view of the Bay of Fundy. 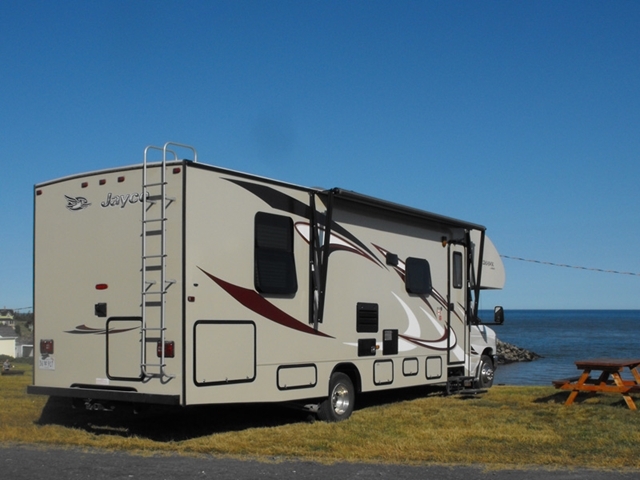 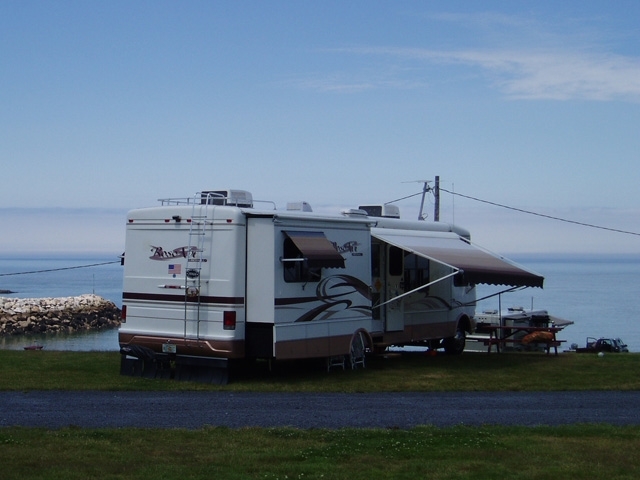 These level, grassy sites are elevated above the Lower Terrace by approximately 20 feet and provide back-in parking for trailers and drive-in positioning for RVs. 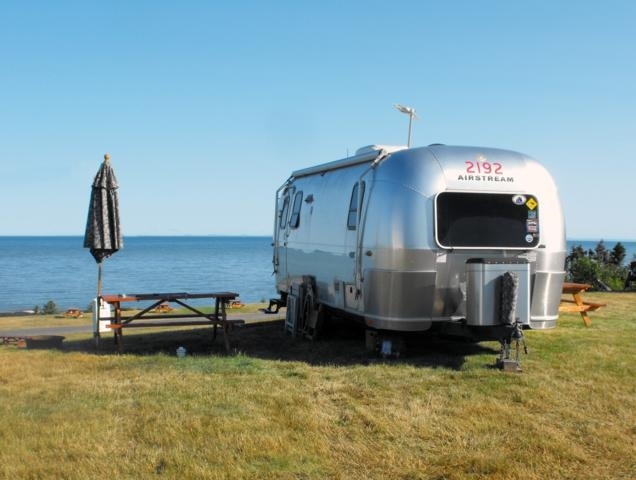 In addition to having a great view of the sunset, these sites place guests closer to the heated pool, washrooms and playground. 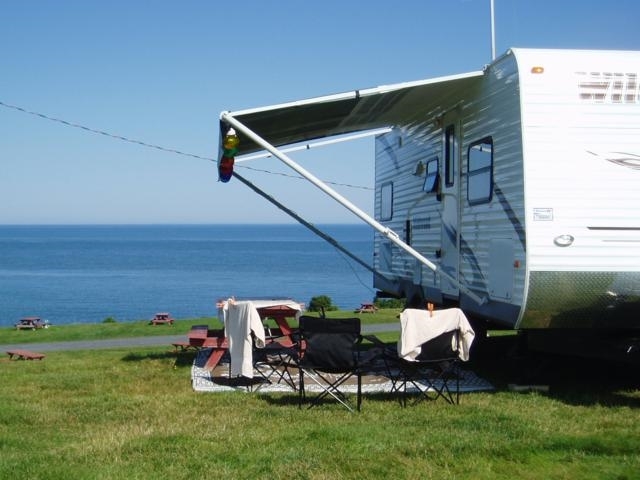 Each site will accommodate one camping unit up to 34 feet in length, and is equipped with certified drinking water, 30 amp power supply, sewer, picnic table and fire ring.